Phishing. If you get an unsolicited email claiming to be from the I.R.S., it is a scam. The I.R.S. never reaches out via email, regardless of the situation. If such an email lands in your inbox, forward it to [email protected] You should also be careful with sending personal information, including payroll or other financial information, via an email or website. Phone scams. Each year, criminals call taxpayers and allege that said taxpayers owe money to the I.R.S. The Treasury Inspector General for Tax Administration says that over the last five years, 12,000 victims have been identified, resulting in a cumulative loss of more than $63 million. Visual tricks can lend authenticity to the ruse: the caller ID may show a toll-free number. The caller may mention a phony I.R.S. employee badge number. New spins are constantly emerging, including threats of arrest, and even deportation. Identity theft. The I.R.S. warns that identity theft is a constant concern, but not just online. Thieves can steal your mail or rifle through your trash. While the I.R.S. has made headway in terms of identifying such scams when related to tax returns, and plays an active role in identifying lawbreakers, the best defense that remains is caution when your identity and information are concerned. Return preparer fraud. Almost 60% of American taxpayers use a professional tax preparer. Unfortunately, among the many honest professionals, there are also some con artists out there who aim to rip off personal information and grab phantom refunds, so be careful when making a selection. Fake charities. Some taxpayers claim that they are gathering funds for hurricane victims, an overseas relief effort, an outreach ministry, and so on. Be on the lookout for organizations that are using phony names to appear as legitimate charities. A specious charity may ask you for cash donations and/or your Social Security Number and banking information before offering a receipt. Inflated refund claims. In this scenario, the scammers do prepare and file 1040s, but they charge big fees up front or claim an exorbitant portion of your refund. The I.R.S. specifically warns against signing a blank return as well as preparers who charge based on the amount of your tax refund. Excessive claims for business credits. In their findings, the I.R.S. specifically notes abuses of the fuel tax credit and research credit. If you or your tax preparer claim these credits without meeting the correct requirements, you could be in for a nasty penalty. Falsely padding deductions on returns. Some taxpayers exaggerate or falsify deductions and expenses in pursuit of the Earned Income Tax Credit, the Child Tax Credit, and other federal tax perks. Resist the temptation to pad the numbers and avoid working with unscrupulous tax professionals who pressure you to do the same. Falsifying income to claim credits. Some credits, like the Earned Income Tax Credit, require higher incomes. You are responsible for what appears on your return, so a boosted income can lead to big penalties, interest, and back taxes. Frivolous tax arguments. There are seminar speakers and books claiming that federal taxes are illegal and unconstitutional and that Americans only have an implied obligation to pay them. These and other arguments crop up occasionally when people owe back taxes, and at present, they carry little weight in the courts and before the I.R.S. There’s also a $5,000 penalty for filing a frivolous tax return, so these fantasies are best ignored. Abusive tax shelters. If it sounds too good to be true, it usually is, and that’s especially true of complicated tax avoidance schemes, which attempt to hide assets through a web of pass-through companies. The I.R.S. suggests that a second opinion from another financial professional might help you avoid making a big mistake. Offshore tax avoidance. Not all taxpayers adequately report offshore income, and if you don’t, you are a lawbreaker, according to the I.R.S. You could be prosecuted or contend with fines and penalties. 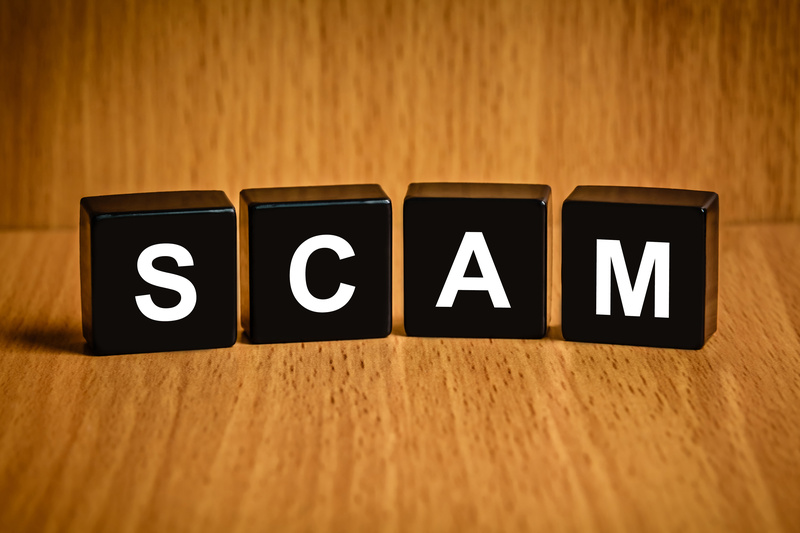 Watch out for these ploys – ultimately, you are the first defense against a scam that could cause you to run afoul of tax law.